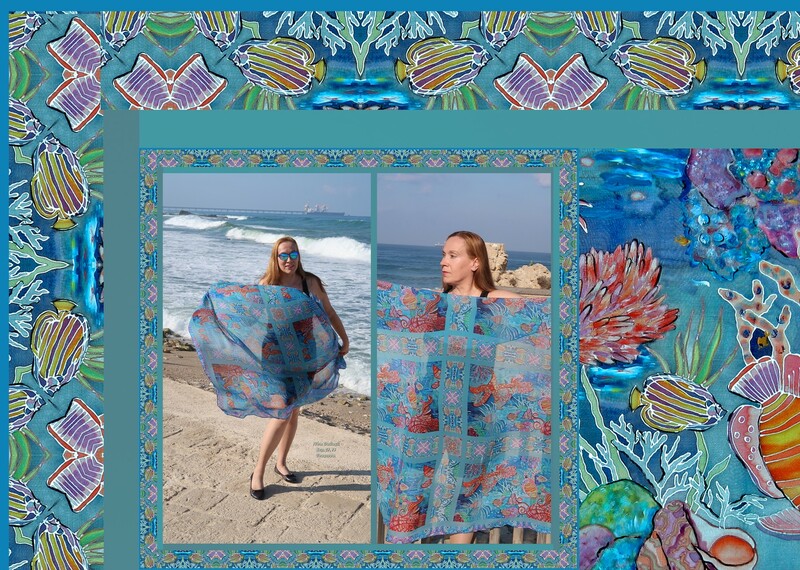 My textile creation : Tropical Underwater, printed on fabric. Design is for sale. ( Fashion or Interior) . Serious costumers may contact me via e.mail. 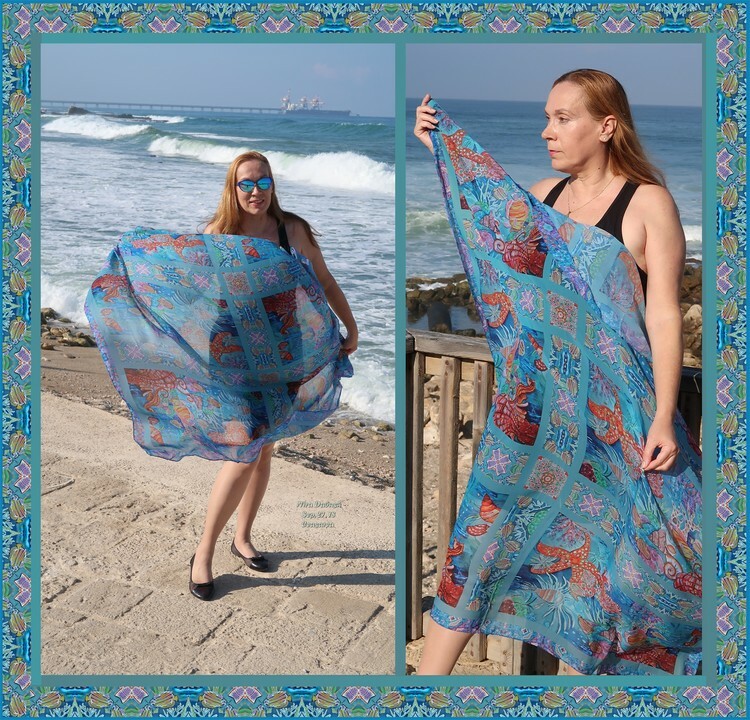 Myself wearing my textile Sep, 27, 18. Caesarea. Lovely creation dear Nira, you look lovely too ! WOW, your creation is a SPLENDOR, Nira !!! So very beautiful and the pictures of yourself presenting it are just gorgeous !! MY FAV ! Great design, Nira! You are so talented!